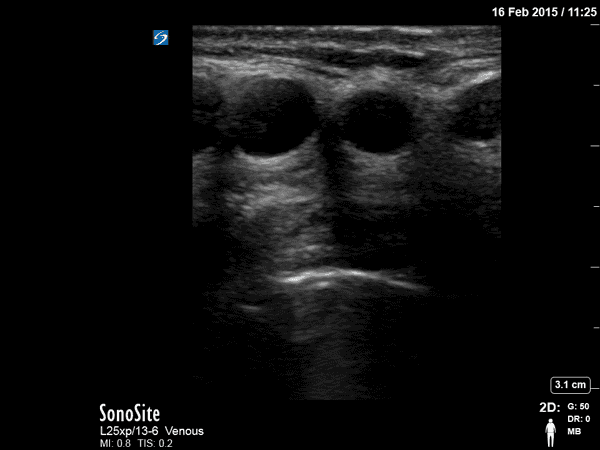 You are asked to help with a simple percutaneous tracheostomy in a young neuro case with a nice long and thin neck. 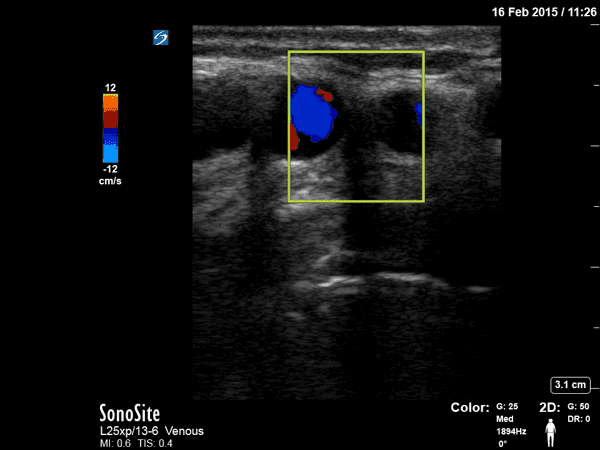 You can see the bright reflection of the cricoid cartilage around 2 cm from the probe but there appears to be some echolucent structures anteriorly to it. To further elucidate these likely vessels you apply CFD across them. These are clearly vascular structures with very little space between for a size 8 tracheostomy tube to safely be inserted. You the decide that discretion is the best part of valour and make a call to the ENT surgeons so they can bring their diathermy and vascular ties to the tracheostomy party.